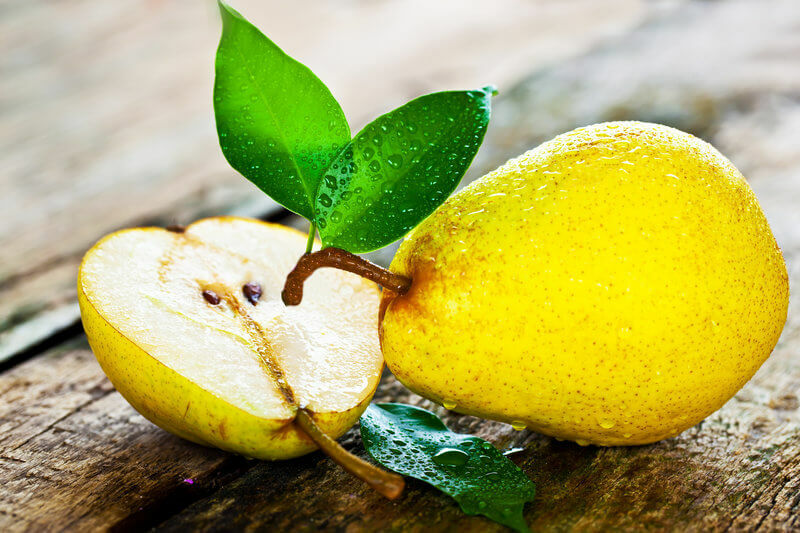 Did you know that one large pear covers nearly one fourth of your daily requirement (30 g) of fiber? In fact, it is one of the highest fiber fruits there is. Plus, pears only contain 100 calories. But low-calorie doesn’t mean low-nutrient: Pears are rich in vitamin C, K and potassium. And the best thing about them? Pears are incredibly delicious. Especially in October, when they are in season. A magic bullet for runners? Yes, it seems so. A study was conducted at the University of Exeter (UK) on the effect of red beets on athletic endurance. And, as a matter of fact, those athletes who drank red beet juice before the race performed better. Why are red beets supposed to make you faster? Studies have found improved oxygen extraction in muscle tissue after consuming the red root vegetable. This means that the participants required less oxygen for the same effort and were thus more efficient. 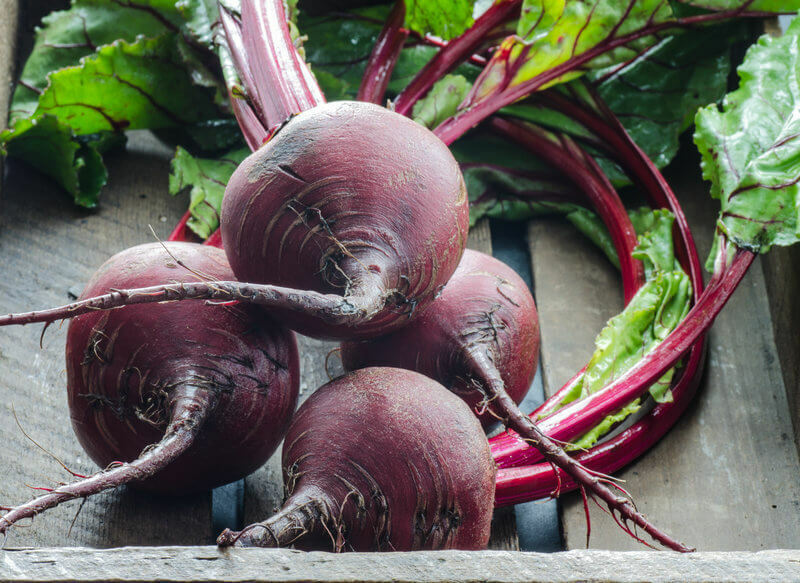 In addition, red beets have an antihypertensive effect and help lower your blood pressure. They taste best in the form of smoothies, salads or in risotto. 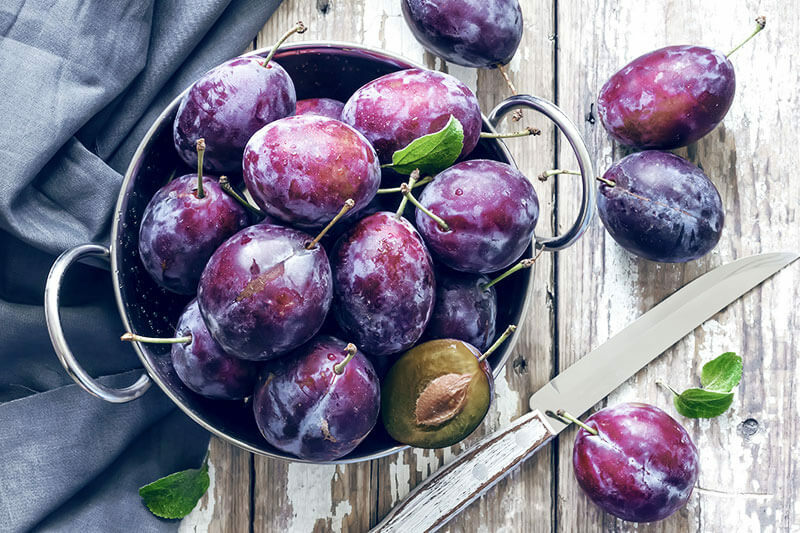 The taste of plums just makes you think of fall. After all, the stone fruit is in season until the end of October. Its main benefit is its high level of anthocyanins, or secondary metabolites, which give the fruit its distinctive purple color. And it is this pigment that works as an antioxidant in your body. People who work out a lot need a regular supply of this substance in order to minimize oxidative stress, which weakens your immune system and makes you more susceptible to illness and disease. Also, prunes (dried plums) can work wonders on lazy bowels. They contain loads of fiber and thus strengthen your gut flora. But don’t forget to drink plenty of water. Otherwise, they can have the opposite effect. 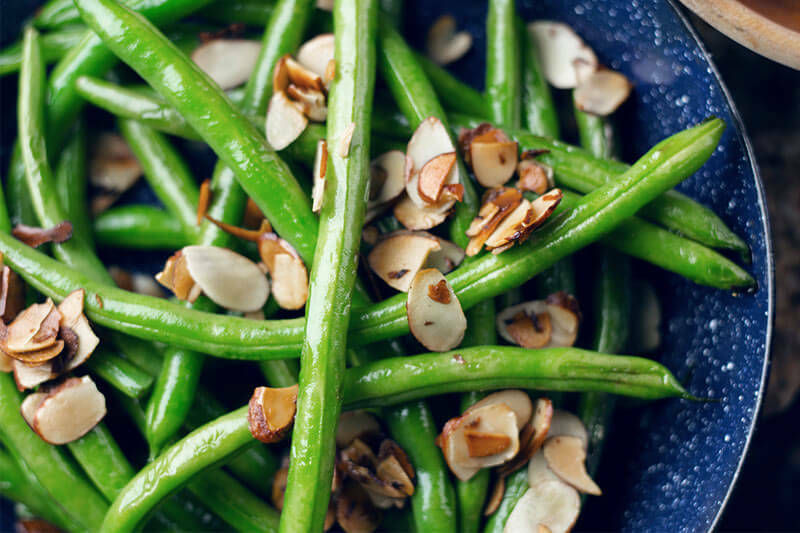 Whether as a side dish to salmon or steak or as a salad, green beans should be a staple of your fall meal plan. 100 g of this vegetable contain only about 30 calories. Plus, green beans have plenty of B vitamins, folic acid and iron. And even though it doesn’t look like it, the beans contain carotenoids. This is what gives carrots or sweet potatoes their bright orange color. Carotenoids, like anthocyanins, are antioxidants. The beta-carotene contained within the beans is a precursor of vitamin A. And vitamin A is important for the health of your eyes. 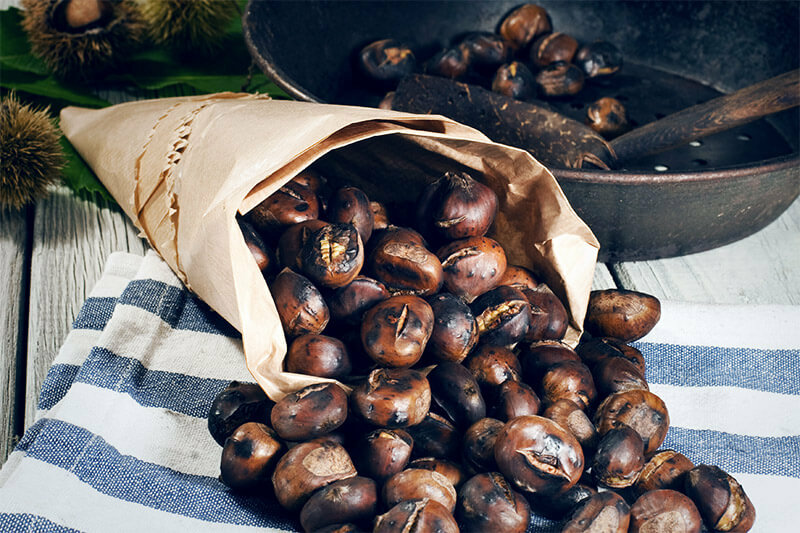 In contrast to other nuts and seeds, chestnuts have surprisingly few calories. 100 g only contain 170 calories. The same amount of walnuts, on the other hand, have around 700 calories. Nevertheless, chestnuts are full of valuable vitamins and minerals like vitamin C, folic acid, magnesium and potassium. This food also contains essential fatty acids, like linoleic acid, which is important for cardiovascular health. So, what is the best way to eat chestnuts? The most popular way is roasted, but they also taste amazing with German red cabbage or in desserts. So, have we made you hungry for fall to start? 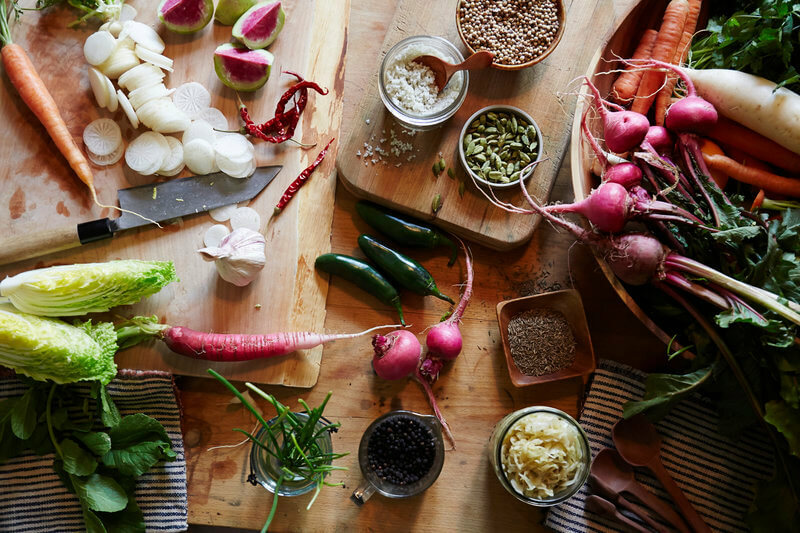 Whether as a salad, main course, snack or dessert, these colorful foods are guaranteed to jazz up your next meal! 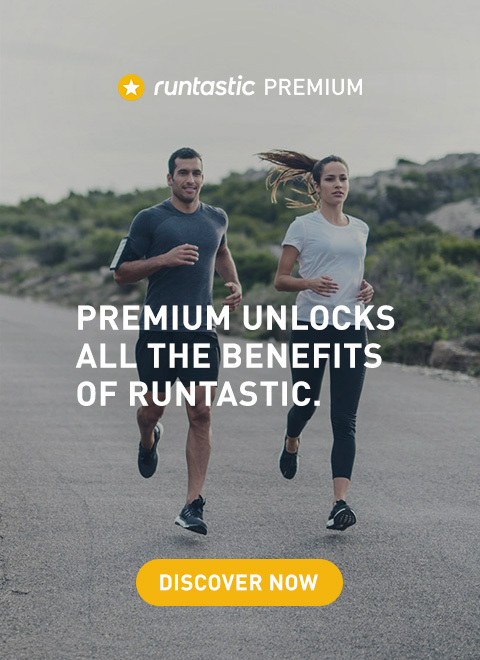 Don’t forget to track your meals and snacks with the Runtastic Balance App. 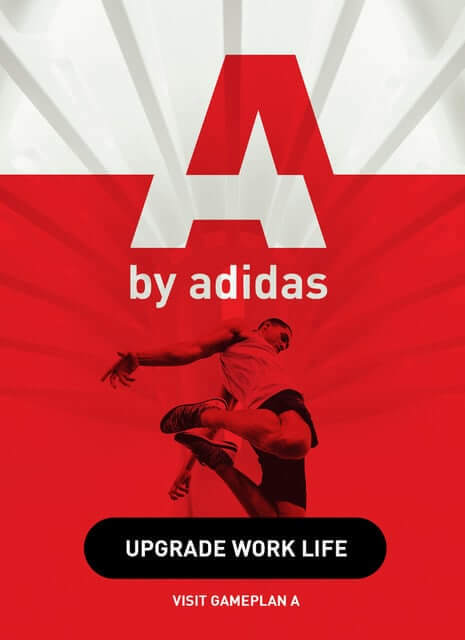 Download today and get started!